When I started the DigitalFilipino.com Podcast last year, the feedback that Creative Voices Production and I got ranged from nice to critical. With 14 episodes done in a span of one year, we felt a sense of fulfillment as we took Philippine podcasting to a different level and made a first by having paid sponsors placing ads in our podcast. The past few months, I took a break in podcasting as I'm searching for some inspiration and new ideas in doing the podcast. The break was great as well as Creative Voices Production got their hands full with their Inquirer Election podcast gig, among others. 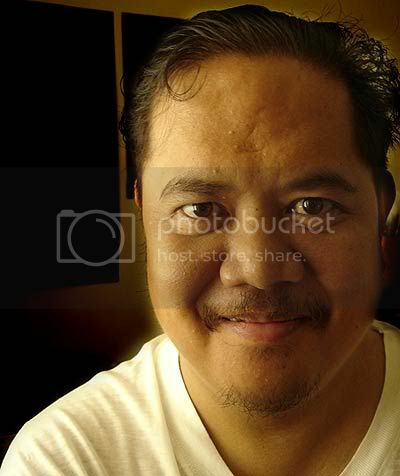 Comic book writer Gerry Alanguilan also sent me an email lately asking for thoughts on Video Blogging or V Blogging. I tried that in the year 2000 (the time when I had my Infotech online radio as well) but only showing the faces of the people I interview. I guess the reason why not that many do video blogging is that we are mostly conscious of our looks and every episode would require some level of proper presentation. However, there may be some opportunities there worth experimenting with. During iBlog3, Wilson Chua of eRadioPortal opened the doors to content creators in exploring further podcasting opportunities and take advantage of the long tail or growing market in this area. I've since actively looked for Filipinos doing video blogging on You Tube, and I'm pleasantly surprised at the large amount of people I found. It fascinated me so much that I'll be doing an article on my blog about Filipinos and vlogging. Thanks Gerry for the heads-up. Kindly keep me posted about that article. I surely want to read it. Cheers! One Laptop Per Child: Losing its novelty? How do you behave to show your nationalism?